BY THE BOOK: "My life has come full circle," declares the 41-year-old author and businesswoman. Joan Good pushed herself to the limit to complete her two praiseworthy books ― the motivational tomes From Brokenness to Victory and You Are Different for a Reason ― but if you think she's done with her life-and-love truth-telling, think again. "I have about ten to a dozen books in the pipelines," she confides to TALLAWAH, as we catch up at the recent Lifestyle Change Conference for Women at Eden Gardens, where, alongside her husband Deane, Kenrese Carter, Pastor Ryan Mark, Dr. Carla Dunbar and other speakers, she offered her hard-won inspirational pointers for better living to the scores of women who came out to be empowered. "I think now is such a crucial time for us, as women, to really get in touch with what our true purpose in life is. And I want my books to play a role where that is concerned. So I am going to continue to write." She pauses and smiles. You see it on her face and hear it in her voice. Life has been good to Joan Good in recent times, considering the rocky terrain she had to traverse to get to this point ―overcoming a failed marriage and countless other setbacks. Currently based in Boca Raton, Florida, where her business endeavours and marriage ministry are thriving and keeping her busy, the self-proclaimed "serial entrepreneur" had to learn to let go of the emotional baggage that so often weighs us down and instead focus on counting her blessings, seeking inner peace and sharing her testimony. "I'm very satisfied, very happy. My life has come full circle," the doting mother of two says, later emphasizing her newfound passion for making a difference in the lives of others by imparting, first of all, the tough life lessons that have helped to make her the success story she's become. "I want others to see me as a living example of what it means to go through unimaginable circumstances and survive to tell the story. I want them to know that there's hope." And her message, she hastens to add, is not just for the female ear. "I have a lot of men coming up to me, saying how the books have helped them, and it really makes sense," the 41-year-old author reflects, "because if you want to be a real boyfriend, a good husband then it's best to learn from the women." So far, Stateside promotional stops for her books have taken her to New York, New Jersey, Philly and Maryland, but Good prefers to divide her time between her beloved Kingston and her adopted Florida, where the weather is as unpredictable as it gets. "I've always teased my fellow Floridians that the weather is very menopausal," she jokes. "So think of a woman in her mid-40s, and you'll get an idea of what it's like in Florida these days." CLASS ACTS: (From left) Campbell, Davis, Elise, Wilson and Deer share a scene. We all know that in many a school setting the classroom very often provides the scene for the scandalous, clutch-those-pearls behaviour of students. But the staffroom? Child, that's where the real drama unfolds. In Saving Alligator High, the latest exuberant comedy by Patrick Brown, the spotlight is on the teachers for a change, and that's precisely why the production is such a refreshing treat for theatre's faithful audiences. In tackling the Jamaican education system, the play gives us a sobering, realistic glimpse at modern school life but from the perspective of the educators. And, of course, it's all spun with Brown's trademark blend of hysterical humour, wicked wit, and keenly observant storytelling. Alligator High, situated in the rough-and-tumble inner-city, is not your average Jamaican secondary institution. With its badly performing student body, unmotivated teachers, depressing physical conditions and scant resources it's, unsurprisingly, been branded "a failing school" ― one urgently in need of a lifeline. That's where Mistress Sonya Lee comes in. An uptight, well-spoken addition to the staff, she's a no-nonsense woman on a mission, intent on rescuing the school from the brink of demise. It's a character played with much empathy and sophisticated flair by Sharee Elise, who gets to flaunt her leading-lady bonafides to dazzling effect. It's a solid, memorable turn from the fast-rising actress whose talents continue to blossom nicely. Sonya Lee's work-driven attitude comes off in stark contrast to her seasoned colleagues who are more prone to gossiping than lesson planning. We meet the grammatically challenged "lickterature" teacher Bev Beckford (an appealing Camille Davis) and the flirtatious Tami Turnbull (Sakina Deer) who has a soft spot for the cricket-loving mathematics pro Jeff Jones (Glen Campbell) ― and his wallet. Courtney Wilson, as Fox Bell the PE instructor who takes a shine to the young girls he coaches, rounds out the main cast. They're a pretty diverse bunch, but if there's one thing they share it's a frustration with the school's deplorable infrastructure and working conditions, not to mention the dangerous students and parents they have to deal with every day ― none more threatening than one Paul "Dragon" Reese and his gangster dad Shotty Shotty Sean (David Crossgill). 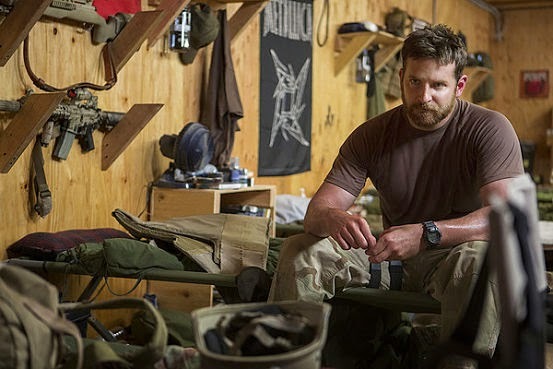 A MAN APART: Cooper, as Chris Kyle, the subject of Eastwood's masterful war epic. "It's the greatest country on Earth, and I would die to protect it," declares American Navy Seal Chris Kyle, a skilful marksman who goes to fight in Iraq in the wake of 9/11 and eventually earns the title of the most deadly sniper in US history. Kyle's incredible true story gets a deft cinematic rendering in American Sniper, revered filmmaker Clint Eastwood's bombastic new drama that's just been nominated for six Academy Awards, including Best Picture and a well-deserved Best Actor nod for Bradley Cooper as the hero of the title. In short, American Sniper paints a gripping, visceral picture of war's devastating impact on lives both on and off the battlefield. Morphing into a man who kills for a living, in patriotic service of his country ― and being so adept at it ― racks Kyle's conscience, but especially when kids and other innocents end up in his line of fire. Sometimes, in reflecting on his actions, his noble Texas upbringing and his wife and kid back home (Sienna Miller plays his supportive wife, Taya), Kyle sobs inconsolably. And it's in these quiet moments that we get to see the vulnerable, flesh-and-blood human being behind the trigger. It's an utterly convincing performance from Cooper, who is fast building an impressive body of work and whose astonishing good looks can't be concealed by all that facial scruff his character has to sport in the movie. A versatile actor who can go from starring in popcorn comedies like Wedding Crashers and The Hangover trilogy to earning raves for compelling dramas like Silver Linings Playbook and American Hustle while barely drawing breath, Cooper is, without doubt, becoming the Dustin Hoffman of his generation. WAY UP THERE: The day's series of rigorous activities were designed to test endurance and push one to the limit. Studies has long shown that when it comes to matters concerning wellness, women tend to give greater consideration to such matters than men - and the Caribbean scenario is certainly no exception. All that needs to change. 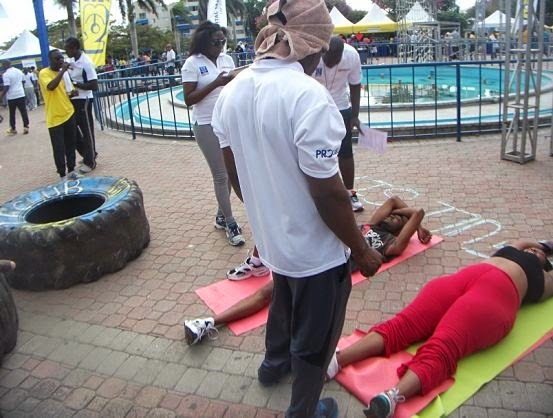 So argues NCB's Roland Henry, the chief organizer behind the NCB/ProCare Men's Health Fitness Festival held this past Saturday inside the Emancipation Park. 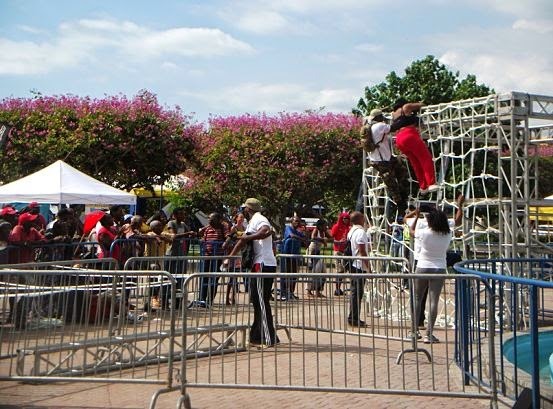 A large number of men from across the capital, including quite a few college-age chaps and budding fitness junkies, responded to the call to participate, taking on the multiple challenges in the mix, attending the discussion segments and flocking to the booth displays mounted by the Jamaica Cancer Society, the Diabetes Association of Jamaica, and eye-care specialists. "For NCB, this festival represents an opportunity for us, as corporate citizens, to encourage Jamaican men to pay greater attention to their health and mortality," says Henry, a senior marketing officer. "It's more than just doing regular check-ups and exercising; there are other things to consider like preventative medicine. And a lot of Jamaican men don't want to get into all that. But considering the modern times we are living in, we don't have a choice anymore." Saturday's festival also had the benefit of wellness experts and fitness pros (Train Fit Club members and ProCare staffers, among them) putting the participants, including a handful of women, through their paces and introducing them to an exciting range of products and services. "A festival like this is ideal for us to spread our message of good health and to attract new clients," Train Fit Club's Joseph Russell points out. In 2014, NCB staged a similar event but Saturday's own marked the inaugural festival, which will evolve, they hope, into a calendar must-do that will grow leaps and bounds. "We're pleased with the turnout but we plan to team up with some of our corporate partners, like Wisynco, to further engage the public and grow the festival," Henry says. "For us, it's about adding value to somebody's life." DO IT FOR ME: Being seduced by Harris in Ole Fyah Stick; (below) working the scene at the NCB/ProCare festival. 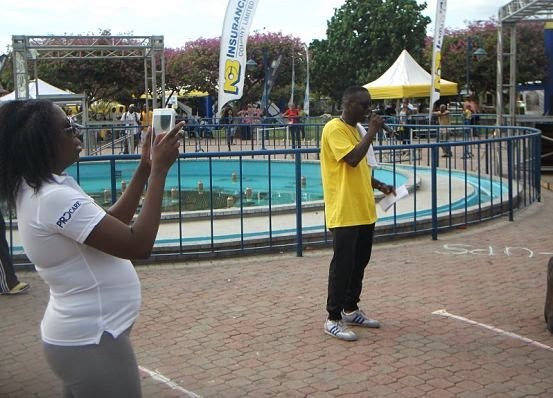 Dressed in an eye-popping yellow shirt, dark pants and shades, Christopher 'Johnny' Daley is the picture of sporty good health as he works the microphone, moderating the proceedings at Saturday's well-attended health and fitness festival for men inside the Emancipation Park, put on by NCB Insurance in partnership with ProCare. Daley is surrounded by fitness buffs, gym bunnies and a few regular folks who've signed up to participate in the multiple workout challenges (obstacle courses, push-ups, long-distance runs, etc) sure to put their stamina to the test. By his own admission, Daley gives great consideration to his overall well-being, but, in a nutshell, he considers himself naturally fit. "As an actor, my job involves a lot of physical activity, so that helps me maintain some level of fitness," he reflects, standing mere feet away from a gigantic rubber tyre that participants have to roll over as they traverse the challenging obstacle course. "Everytime I'm on stage I get physical, so my body gets a proper workout." He can say that again. Consider his nimble work in this season's ensemble drama-comedy Ole Fyah Stick, in which his fleet-footed and very light-tongued character Delroy brings the laughs and stays light on his tippy-toes as he keeps pace with fellow acting heavyweights Deon Silvera, Volier Johnson and Dahlia Harris. For Daley, the experience of collaborating with these veteran colleagues to create theatrical magic offers the emotional high he practically lives for as an artist. "It's just been fantastic. I haven't been in a show with a fine cast like this in a while," the actor and ace comic admits. "I mean, these are actors I've known for years, so the chemistry is not something we had to force; it came easy." Effortless camaraderie aside, Daley says the show's success amounts to a number of key factors blending harmoniously — not least among them solid writing and unwavering respect for the craft. "I think the show is so successful, first and foremost, because we respect the script," he says. "Dahlia has written a good script and we wanted to honour that." As for the play's inner workings and thematic framework, he notes, "There are lots of dynamics in [Ole Fyah Stick], but the overarching message is that we might be from different socioeconomic backgrounds and different class levels, but when all is said and done, we are all one people." A multifaceted brother whose well-known talents span groundbreaking television (Lime Tree Lane), the airwaves (SunCity Radio), movie (Kingston Paradise), stand-up comedy and, of course, the theatre, Daley remains a much sought-after Jamaican entertainer who simply appeals across the board. That perfectly explains how he ended up at Emancipation Park on Saturday pumping up the crowd as the afternoon sun blazed brightly overhead. "We've used him on a number of occasions," says NCB's Roland Henry, "because he's proven himself to be versatile and very flexible." Soon to turn 38, Daley tells TALLAWAH he couldn't be happier with his life. For him, savouring his continued and evolving success means living in the moment, while looking ahead to what's next. "I want to do more of everything. More movies, better plays. There's still a lot left for Chris Daley to accomplish," he says, before offering some specifics. "I did a movie, my first movie called Kingston Paradise, with no budget. Next time I want to star in a movie with a massive budget." > Catch Chris Daley and his costars heating up the stage in Ole Fyah Stick at the Theatre Place in New Kingston! Tickets: 352-6180. 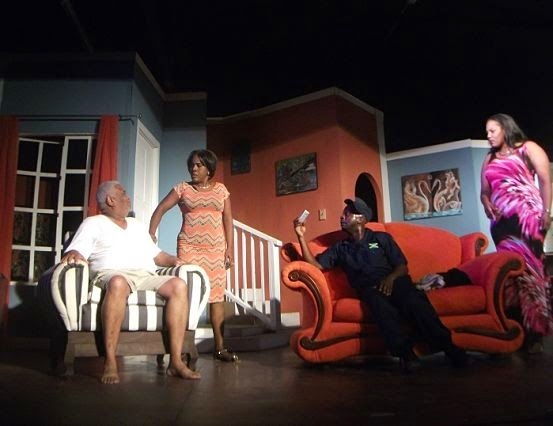 NOW OR NEVER: (From left) Johnson, Silvera, Daley and Harris; (below) more scenes from the play. It is a truth universally acknowledged that you can choose your friends but you can't choose your family. One is sharply reminded of this while watching the action unfold in Ole Fyah Stick, Dahlia Harris' latest theatrical offering that is both brilliantly acted and rip-roaring fun to watch. A follow-up to Harris' bruising 2014 kitchen-sink drama Her Last Cry, the ensemble production is an engrossing meditation on the ties that bind and relationship dynamics and is populated by four well-drawn and very Jamaican people who will remind you of someone you know. Take, for instance, the show's centrepiece character Betty (the excellent Deon Silvera), a longsuffering, modestly educated housekeeper who's been in the employ of one Joe Moore (Volier Johnson) since the creation of dirt. Plus, they've known each other since they were kids running wild in the country. Over time, as is the case in so many households here and elsewhere, their bond evolved into something tighter than a boss-employee relationship, and it is this deeply personal aspect that doesn't sit well with Joe's fresh-from-overseas adult daughter Maggie (Harris). One evening while Joe is outdoors picking mangoes, Maggie aggressively confronts Betty , reads her the riot act and all but convinces her that her security-guard 'friend' Delroy (Chris Daley), who happens to frequent the Moore residence, is more her speed. A woman on a mission, Maggie then pulls Delroy into her web. There is hardly a false note in the production that pulses with the energy of an edge-of-your-seat soap opera. (Perhaps Days of Our Lives, as Delroy exclaims at one point.) Harris, who pulls quadruple duty as writer, costar, director and producer, knows her actors well and elicits strong performances from them all. While Harris is beguiling as the feral Maggie the bulldozer (and her questionable American accent!) who will stop at nothing to "protect" her dad, Johnson totally gets Joe Moore, presenting him as an aging soul deseperate to hold on to a good thing, in spite of the fear and cowardice that stymie his actions. As for Daley, the role of Delroy seems tailor-made for him, and he brings that signature mix of alacrity and brio to the stage. Silvera, meanwhile, is the show's biggest revelation, and her portrayal of Betty is an award-worthy portrait of humility, ambition and a diamond in the rough. To say the least, Ole Fyah Stick, boasting an appealing living-room set design, is full of sparks that eventually explode into fireworks. The intensity, on occasion, reaches fever pitch. But it's the show's spot-on reflection on universal themes ranging from social class and convention to loyalty and prejudice that leaves the most lingering impression. CENTRE STAGE: Williams (centre) shares a scene with Keith 'Shebada' Ramsey and Monique Ellis in Bashment Granny 3. In spite of his nearly two decades working in Jamaican theatre, Junior Williams' presence on the arts scene feels like that of a relative newcomer. But his below-the-radar status has been given a boon thanks to the success of the Bashment Granny juggernaut, which introduced him to modern theatregoers as the ruthless kingpin Half-A-Dog, a role that clearly plays to his strengths as an individual who never shies away from going after what he wants and commanding respect along the way. "He is like Dudus; he's a product of his environment," Williams says of his conflicted character, standing backstage at the Green Gables Theatre, where Bashment Granny 3 is still playing to large crowds ahead of a national and overseas tour commencing in February. "Deep down he's a decent person, a good guy. Just don't cross him or you will see his violent side." In the years that Williams has been using his God-given gifts to earn an honest living as an actor, he has played everything from violent men to an effeminate shopkeeper to the eccentric Rastafarian I-Man-I on the CVM sitcom Joint Tenants, written, produced and directed by Paul O. Beale, who Williams credit with getting his career off the ground. Later this year, the Ardenne High old boy could be heading back to the small screen in another Beale vehicle, My Business, in which he plays Mr. Searcher, an entrepreneur with his eyes squarely on the prize. With four episodes already filmed, My Business is, at its core, a story about struggle and independence, twin concepts that the 44-year-old is all too familiar with. "I have been on my own since I was about seven," reveals the lanky actor whose ramshackle, Rastafarian-influenced childhood in Kingston's Washington Gardens didn't prepare him for stardom but toughened him up to face life's hard blows. 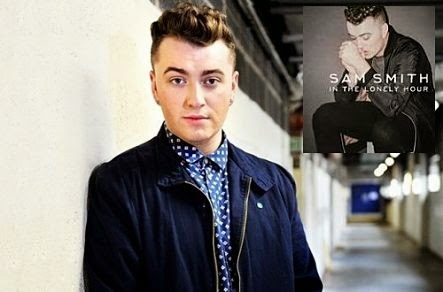 "I had it very rough growing up, and I used to run away from home a lot and get into all kinda trouble," he confesses. Even so, there was a higher power guiding him, leading him towards a future in which the arts would figure heavily. While at Ardenne, for instance, he excelled in his drama classes (skulling a few) taught by the man who would become Michael 'Stringbeans' Nicholson. By 1997, Williams was being encouraged by close friend Antoinette Robinson Fagan to audition for Beale, who was making waves at the time with shows like Pastor Houdini and Granny Rule. Fast-forward a few years, and Williams is off to the UK to work with the renowned Blue Mountain Theatre Company, where he first met his Bashment Granny 3 costar Terri Salmon, and went on to play fun, challenging parts, chief among them a slippery transvestite in 2006's Love Him Then Bun Him, a far cry from the brutish Half-A-Dog. Not one to toot his own horn, Williams (admittedly eager to land some big-screen work) is pleased with what he has accomplished in his acting life so far but, not surprisingly, he is far from satisfied. "I consider myself very talented," the father of three tells TALLAWAH. "With every role I play, I try to be believable, and I think I pull that off every time." TAKING THE LEAD: Event conceptualizer Kiki Thombs at Eden Gardens; a glimpse inside the conference's teen room; (below) speakers Kenrese Carter and Deane Good having a chat. She had only three weeks to put together a tight package, but when Kerie-Ann 'Kiki' Thombs and her team sat down to plan this year's Lifestyle Change Conference for Women, she knew she wanted to create a memorable experience for Jamaican women that would offer life-changing advice about career, spirituality, money, men, self-empowerment and much more. Mission accomplished. Saturday's wonderfully refreshing and insight-rich event, hosted by Eden Gardens, took the form of a day-long conference, complete with booth displays and fun, interactive activities (not to mention giveaways) for participants, with an impressive range of dynamic speakers whose presentations provoked thought, stirred emotions and, more often than not, elicited resounding applause. By and large, these lifestyle pros, life coaches and certified professionals imparted meaningful messages that struck a chord and inspired non-stop note-taking. The palpable spirit of sisterhood that we witnessed inside the large white tent, as speaker after speaker took the floor, is precisely what Kiki, as conceptualizer, had in mind from the outset. "As women we go through so much, and we need to show support for each other. 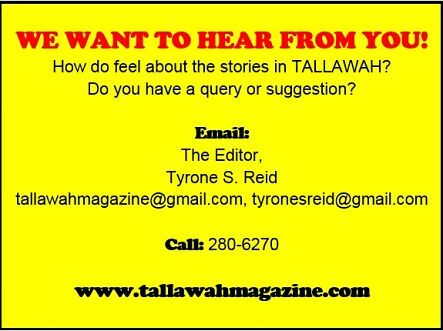 That's what this conference is about," Thombs told TALLAWAH during a rare break from her emceeing duties. "More than ever, women across Jamaica need empowerment as they go about fulfilling their purpose. So, for me, this event is about getting the ladies to understand that as women we may face a lot of obstacles on a daily basis, but we have to find a way to navigate our lives powerfully." As it happened, several of the day's speakers sought to hammer home that very point to the scores of women in attendance. From Kenrese Carter's rousing 25-minute talk about how to commit to lasting lifestyle changes and Dr. Sandra Knight's tried-and-proven tips for healthier living to Dr. Herbert Gayle's laugh-out-loud session on the female brain and a no-holds-barred discussion on female sexuality moderated by Dr. Carla Dunbar, there was more than enough for the women to absorb. The conference's programme also featured a who's who of inspirational and well-known Jamaican personalities who've walked the walk — Joan Good, Ambassador Audrey Marks, Kamila McDonald and Pastor Ryan Mark, to name only a few. 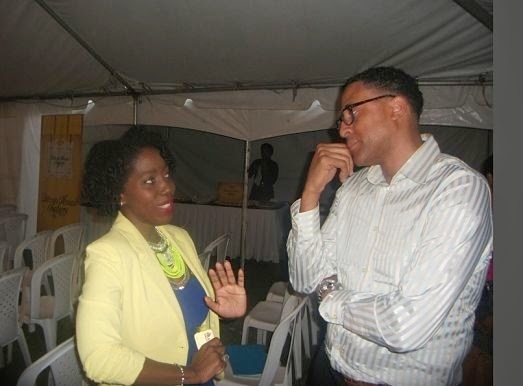 Spurred on by the success of the Kingston event, particularly the large turnout, Kiki is gearing up to take the show on the road, with similar conferences being planned for Mandeville and Montego Bay. "We haven't set the dates yet, but they'll definitely be held later this year," she says. "We want to take this message of empowerment across the island." She adds, "We all have our struggles, but at the end of the day we can come together and hep each other improve our lives." 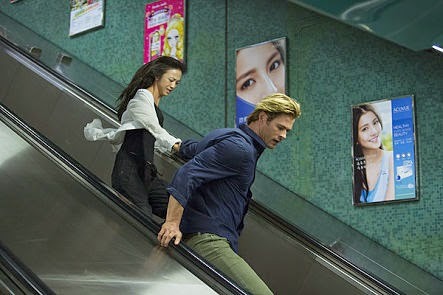 IN STEP: Hemsworth and his love interest are on the run in this scene from the film. Today's global and relentless generation of computer-hacking savants may think they are top-shelf stuff when it comes to what they do, but their talents probably pale in comparison to that of Nick Hathaway, whose skills are so superlative that they more or less become his get-out-of-jail-free card. Doing time in a maximum-security institution for his cyber-related crimes, Hathaway becomes a prime asset of the US government when a series of power-plant bombings rock China and threaten US relations with the Asian territory. As it turns out, the perpetrator behind these unprecedented cyber-generated attacks is a maverick who expertly manages to avoid leaving a trail for investigators to follow. So begins a hunt that spans Chicago, Los Angeles, Hong Kong and Tokyo to track down this mastermind before another attack claims hundreds of lives and further cripples diplomatic relations. That's basically the premise of Blackhat, the latest effort by director Michael Mann, and while it doesn't rank among his finest work, like, say, the excellent Tom Cruise/Jamie Foxx thriller Collateral, it has intrigue, fascinating accounts of international espionage, and an ideally cast leading man in Thor's Chris Hemsworth. Having worked his way up the Hollywood ladder to household-name status and action-packed blockbusters like Thor and The Avengers, Hemsworth practically has his pick of parts these days. So while it's a surprise to see him tackling the angular role of Hathaway, he plays the part impeccably, with a mix of manly-man bravado and the cunning typical of career cybercriminals. WORK IN PROGRESS: The new space, under construction, opens to the public this weekend. Inset, Wilson; (below) performers in rehearsal with Holgate. "The vision has always been to create a self-contained space for ourselves to carry out our projects and to do some of our performances," explains Ashé Artistic Director Conroy Wilson, mere days before the popular performing arts troupe opens their Cargill Avenue-based Vibes Theatre to the public. The cozy outdoor space, which includes a large stage and seating area, is still under construction but should be showtime ready for this Friday's well-anticipated premiere of Dead Lef', the troupe's latest musical drama. To say the least, the Vibes Theatre is testament to Ashé's utter resourcefulness and can-do spirit. What they've done is invest a little over $1 million dollars to convert a shed/fixer-upper adjacent to the property's E-Cafe, into the new performance space. According to Wilson, it will go a far way in easing some of the creative pressures they currently face. "Theatre space is limited in Jamaica right now, and when you do get somewhere to use, the cost is very steep, so having this will allow us to do our performances and invite the public to be a part of it. "So now we basically have our own theatre," he points out, emphasizing their intention to reach out to the theatre community at large. "Ultimately we want it to become a general theatre space, so will definitely be inviting others to share it with us." Already, the Fabian Thomas-led Sankofa ensemble has secured first dibs, and will be mounting their upcoming production when Dead Lef' ends its local run in March. This latest addition to the Kingston theatre scene couldn't have come at a better time, especially given the closure last year of the landmark Pantry Playhouse. Enterprising playwright-producer David Tulloch had hinted to TALLAWAH a short while back that his Probemaster team was eyeing a Ruthven Road property for the primary purpose of converting it to a theatre house. "It's a great location for a theatre," he told us. "With lots of parking space, two concession areas. We just need to install some new seating." But with the details and logistics still being panned out, it remains to be seen if Tulloch's dream will become reality. In the meantime, for Ashé this month's opening of the Vibes Theatre is only the beginning of some major long-term endeavours the company has in store for its Cargill Avenue base. They way they see it, with the Green Gables Theatre right next door to their property and ample space remaining for several additions, a veritable theatre village could mushroom over the course of the next decade or so - to create an artistic zone similar to that of London's famous West End or New York's popular Broadway district. "We feel that this little area could become something like Kingston's own theatre strip that people from all over the island and abroad can look forward to visiting. So when persons are planning trips to Jamaica, they know they have to come to the theatre strip." Big dreams aside, 2015 marks 22 years since Ashé's inception, and it's a milestone that Wilson believes demands serious reflection on where they're coming from and the road ahead. "At the point in our history the focus is on building the people we have with us and growing our methodology, because without a doubt our style is still very powerful," he says. "We definitely plan to expand our reach but we want to branch out and diversify without stretching ourselves too thin." What is more, the time is perfect for the group's leaders (Michael Holgate is another Artistic Director) to step up the training of the troupe's fresh crop of young talents, many of whom hail from such areas as August Town, Maxfield and Hannah Town. "A lot of them are from projects we've done in these communities, and some of them have been with us for years," Wilson explains. "So we want to continue giving them the exposure now, as it will only benefit the group years down the line." One therefore understands the great emphasis on fortifying their headquarters in the interim. "The big thing for us is to develop and strengthen our base," Wilson says, "and take our work much, much higher." 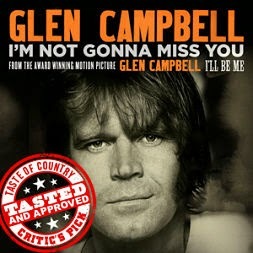 We always look forward to hearing who's been nominated for Best Original Song at the Academy Awards. It's by far one of the most interesting categories of the lot and, more often that not, presents a career-defining moment for the nominees, but especially the unheralded songwriters who've been toiling away in the music industry for years. Past winners include everyone from Annie Lennox and Melissa Etheridge to Adele and Three 6 Mafia. This year's bunch of nominees is just as eclectic and replete with noteworthy talents.